THIS is a new gig for me and I am looking forward to giving my views on all things GAA. Like I always say it’s just an opinion, which is what sport is all about and I’m sure looking forward to feedback from you on my new column. It was another fantastic weekend of Gaelic games both in Britain and Ireland. Tyrone and Dublin are now qualified to meet each other in the semi-final on August 27, but I think that any team who makes the last four is there on merit. It will be a close game and the biggest battle Dublin will have, but with Diarmuid Connolly back and Tyrone still developing, the Dubs are the team to beat. Monaghan had shown resilience especially after early setbacks in the Championship but failed to counteract Dublin’s power game and winning mentality and Dublin have really shown what they can do both in both the League and the Championship this season. Tyrone were gutted to have lost to Mayo last season and have been absolutely single-minded in their quest for All-Ireland glory. They have a huge desire to make that happen after their victory over Armagh in the quarter finals. Armagh, under Kieran McGeeney showed the same spirit that Kieran had as a player. Despite missing out on promotion from Division 3 by score difference to Tipp and losing to Down in the first round of the Ulster Championship they played fantastic open football this season. 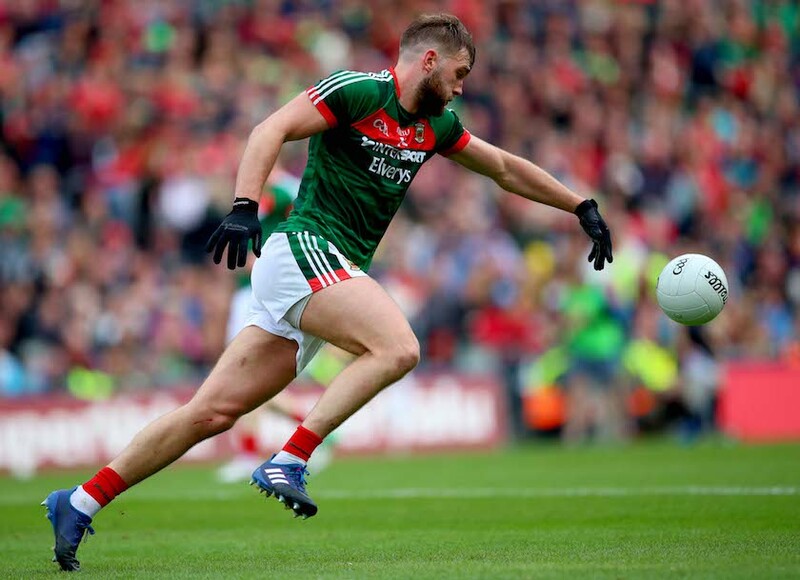 Jamie Clarke has been one of the best, most-skillful inside forwards in the game but in the end against Tyrone they were up against a top side with skill and experience. These teams have given everything over the last six to nine months to reach this stage and will not lack heart or skill. If Mayo can hold Kieran Donaghy they definitely have a chance against Kerry this weekend. The open football they played against Roscommon is the way to go and I have a feeling they might do it. I was lucky enough to be in Croke Park for the first Mayo v Roscommon clash and unlike Pat and the lads on TV I thought it was a great game. It had everything you would want in a game of football – goals, great defence, huge work rate from both teams, high fielding and the game going right to the wire. Back here in Britain all the hard work players and management teams have done over the last number of months is being put to the test. Tir Chonnaill Gaels’ Junior squad, whom I manage, began their campaign with a win against Thomas McCurtains last week. The Gaels are an all-London born outfit and are working hard and play their first game on the new Ruislip pitch this weekend against Brothers Pearse. A final point on the sponsors of the London Championships - to stress the importance and to thank them for their sponsorship. Without these companies it would be more difficult to run the competitions. Finally, best of luck to all teams all over Britain on their road to glory. I look forward to hearing from you all as the season heats up.